The story is beautifully illustrated by Stuart Beel – he’s brought the story to life with his humorous take on the characters. I’ve always found it really special when I see artwork based on my words – probably because I’ve got absolutely no artistic talent myself! It’s been a quarter of a century since one of my short stories saw print – I’ve put most of my energies into writing novels, but there’s something fun about writing short stories. I certainly had a lot of fun writing this one – and it was great working with editors Noel and Russell from Shoreline to knock the story into shape. 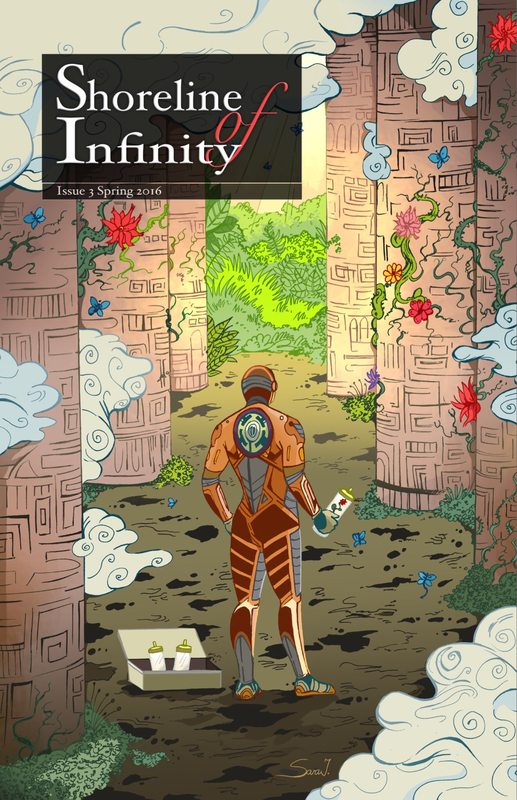 Shoreline of Infinity publishes brand new science fiction stories from writers from all over the world. In this issue we also present our new comic feature, The Beachcomber. We have book reviews, an interview with new writer Dee Raspin, and we continue our exploration of classic Scottish science fiction, with A Voyage to Arcturus by David Lindsay.